Boavistacountryhouse.com uses automatic data collection systems such as cookies. A cookie is a device transmitted to the hard disk of a user with information about the user's navigation on the site, whose main purpose is to make its navigation easier. Although cookies do not contain intelligible information, it allows us to link an Internet user to your personal information. Cookies are posted by our servers and no one can have access to the information contained therein.  Only Boavistacountryhouse.com has access to the information gathered by cookies, in a collective and anonymous way, in order to optimize its services and that of this site within the scope of the needs and preferences of the user and to ensure that the preparation of the Web pages is personalized. If you choose to configure your browser to block and / or delete cookies, please be aware that in this way we can not guarantee that you will have access to all features and services offered through this site (for example, your computer may not be able to display the image of the product you are trying to view). • Search and select the "Accept Cookies"